Cellular signal boosters help people get the coverage they need. Since almost all of us rely on cell phones, with a recent study saying we use them over 50 times a day, good cell coverage is essential. The first choice you need to make when choosing a cell booster is, “3G or 4G.” What you’re really being asked is, “voice or data?” 3G boosters will boost some data services, but only the very slow ones. If you choose a 3G booster like this one, you’ll pay a lot less. You’ll get great voice coverage and that may be all you need. If you are thinking of it for your home, where you use Wi-Fi most of the time anyway, you might not want to spend the extra money. However, choosing a 4G booster like this one will help boost not only voice but data. This is the right choice for offices where guests may not be on the local network, or for people who entertain a lot. This booster is a lot more expensive, but it’s also more powerful. Your typical 4G cell booster will boost five specific ranges. They are referred to as bands 4, 5, 12/17, 13, and 2. That doesn’t say a lot to the average person and it’s not even the best way to explain them. In order to understand cell service, we have to understand a little more. Only certain ranges of frequencies are used for cell service. Every broadcasting service uses a different set of frequencies so that they don’t interfere. And, within these frequencies, there are different channels that are assigned to different companies. This is also done to minimize interference. If you think about regular old radio, you can understand this. AM radio exists between .54MHz and 1.6MHz (you might think of it as 540kHz to 1610kHz, that’s the same.) FM radio exists between 87MHz. and 108MHz. Those are two different ranges. Within each range, different channels are assigned to different companies. Your favorite talk radio station may be WJR, which broadcasts at .76MHz (760kHz, it’s the same.) Your favorite oldies station might be WOMC, which broadcasts at 104.3MHz. Just like that, AT&T, Verizon and the others have little chunks of signal that they each use. The amazing thing is that instead of one song, each carrier can fit hundreds of conversations or gigabytes of data into each signal range. We don’t speak of frequencies, we speak of bands. There are actually other bands in use as well. They are often used by older phones or less popular cell services. The bands listed above are the only ones that work with cellular signal boosters. They are also the most common ones used today. that’s because it isn’t. The bands aren’t sequential. Band 13 isn’t next to band 12. In fact band 17 is next to band 12 which is why they’re grouped together. Then there’s band 4, which uses a technology called “AWS.” See, you need one frequency for transmitting from the tower and one band for transmitting from the phone. Usually these are very close to each other. However, using AWS, the two are quite different. With AWS, all the broadcasts from the tower come from 2100MHz and all the broadcasts from the phone come from 1700MHz. But that’s engineers for you. Folks, there’s an international group of electrical engineers who make these decisions on a global scale. They are literally called the Institute of Electric and Electronic Engineers (IEEE.) They have meetings and I was actually in one of them many, many years ago. Never at any moment did I hear anyone say, “hey, this might be hard for average folks to understand.” They don’t think that way. What carriers use what frequencies? Sometimes it’s important to understand which carriers are using which frequency ranges. If you’re really planning a professional install it helps to know, since different carriers may put towers in different areas. There are a lot of smaller carriers out there as well, but I thought it would be easiest to focus on the big four. When you look at the list this way you see that all the major carriers are represented, but looking at it this way doesn’t tell the whole story. In order to see things more clearly you need to flip things around. This next table shows which carriers use which bands, but it’s organized by carrier instead of band. Also I’m including other bands besides the “big 5” that are actually used in cell boosters. A pattern is beginning to emerge. If you look at that table, you’ll see that AT&T and T-Mobile hav the largest number of bands that are actually helped by cell boosters. Verizon does pretty well too but they also support bands like 1 and 13 that aren’t helped by boosters. Sprint is the odd one out here because none of its data frequencies are supported by cell boosters at all. That’s why I tell people if they have Sprint, just get a 3G (voice) booster because the data part is wasted on you. What is this information useful for? Some cell boosters let you turn down the signal by band. By knowing what bands are used by different carriers, you can figure out what’s going to be affected. 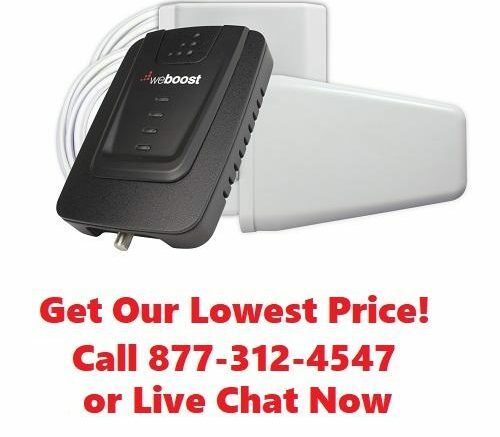 If you need more information or a professional estimate on a cellular signal booster, call the experts now at 877.312.4547.